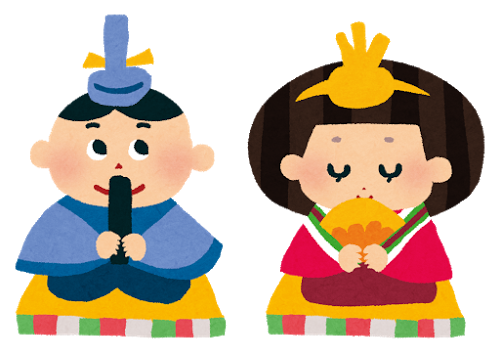 ●The Doll's Festival is held on March 3rd. ●It's also called "the Girls' Festival" because it's to wish for girls' growth and happiness. ● People display a set of dolls in beautiful ancient court costumes of the Heian era. Families with girls celebrate March 3rd as a day to wish for their growth and happiness. This family event originally began in the Edo era and is also referred to as the Doll's Festival because families of girls display a set of dolls representing the Emperor, Empress, their servants, miniature furniture, and so forth, on a five or seven-tiered stand. Ancient people transferred their sins onto the dolls and threw them in rivers.